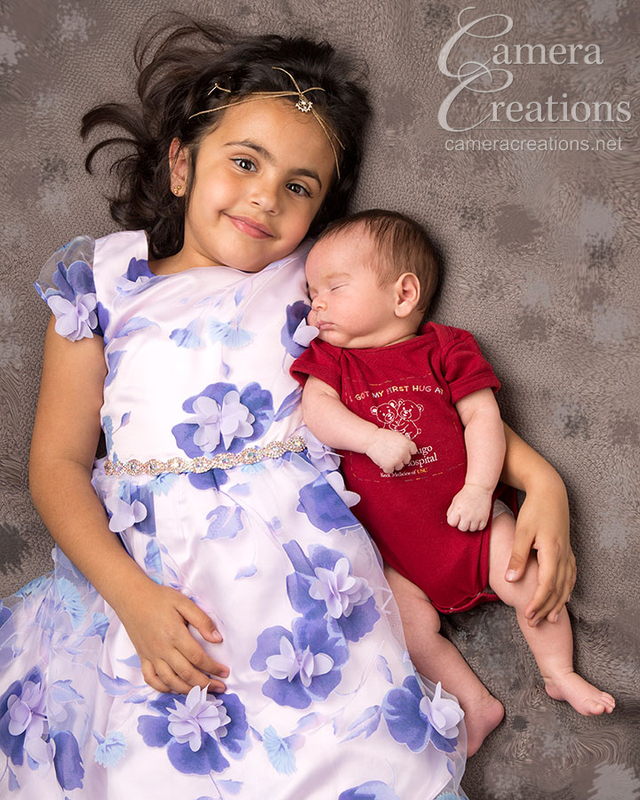 It is always fun to include the family and a sibling during a newborn photography session at our portrait studio, Camera Creations LLC. 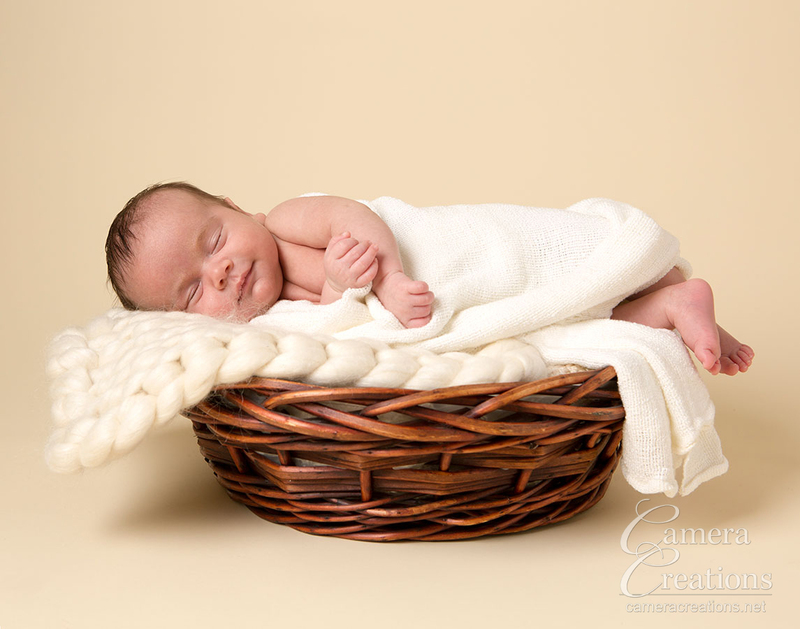 Newborn sessions are discussed during a pre-session consultation with the family so that we know what the parents are interested in focusing on during the session. Many times we only focus on the newborn as we have numerous poses and setups for the baby. However, when the family is interested in joining in this can add dimension and variety to the final collection of images. 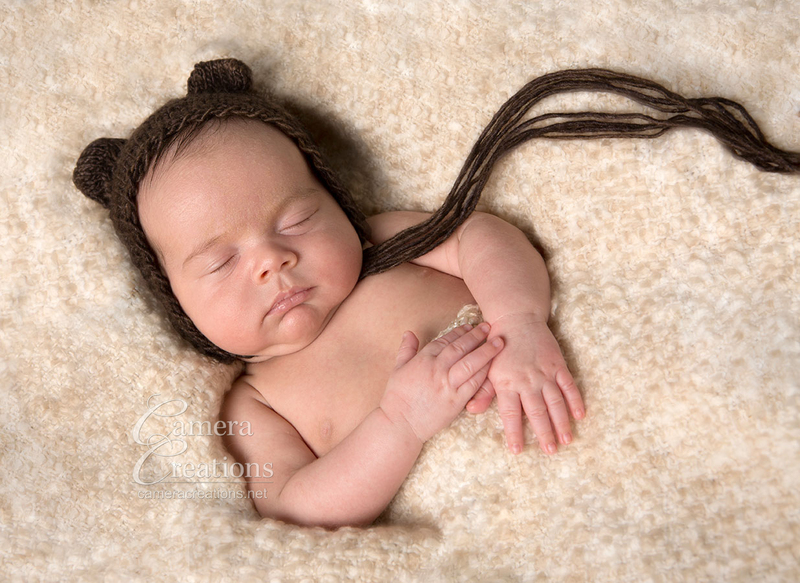 This family will do an album to feature their newborn's images. Father holding his newborn baby boy during the newborn photography session.